Please refer to prices below. Good and firm back cushion with lumbar support. 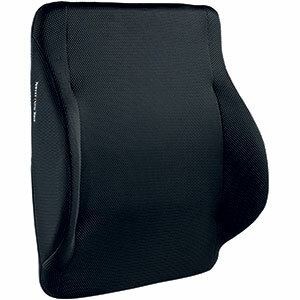 Ergonomically designed and carefully placed lumbar support for greater upper body stability. Alu Rehab provides an improved seating system based on the 7 principles for maximum sitting comfort. The Netti Seating System supplements many features of the Netti wheelchairs. Together they form the optimum solution with multi-point stabilisation of the pelvis that allows maximum freedom of movement for the upper body and represents an excellent pressure distribution solution.